Hot for pain & arthritis or Cold compress for strains, swelling & bruising. This Schupp Cherry Stone Hot/Cold pack is one of the highest quality thermotherapy treatments around. So versatile, it can be used anywhere you need it; your knees, elbows, ankles or shoulders. Containing hundreds of little cherry stones, this hot/cold pack from Schupp is a natural way to relieve pain. Cherry stones store temperature longer than any other natural material making them ideal for both hot and cold therapy. This Schupp Cherry Stone Hot/Cold therapy pack is non-committal in its shape which means you can use it wherever you need it. Heat therapy should be used for sub-acute pain such as arthritis, osteoporosis and other long term conditions. Simply heat your Cherry Stone pack on a radiator, in the microwave or even in a pre-heated oven. The natural cherry stones will hold their heat for periods of 20-30 minutes meaning you can relax without having to worry about re-heating your microwave heat pack. Cold therapy should be applied to any acute pain such as strains, sprain, swelling and bruising. 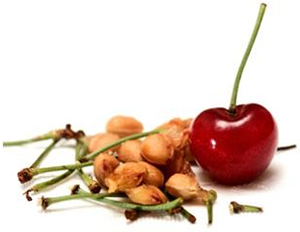 Pop your Cherry Stone pack in the fridge or freezer about an hour before you apply to the injury. No more wasting frozen veg as the Cherry Stone Hot/Cold pack is re-usable time and time again. The cherry stones in this heat therapy pack also deliver a relaxing massage; As you gently rub the pack on the skin, the rolling of the stones massages your muscles and promotes healthy circulation to aid recovery. Whether you are an avid athlete, weekend gardener or someone who suffers from the more chronic aches and pains of arthritis, the thermo-therapeutic effect of the Schupp Cherry Stone Hot/Cold pack is a great alternative to medication and provides sustained heat or cold depending on what form of therapy you desire.